Your treasured jewels need some love to make sure they last generations. This includes limiting their exposure to the elements, regular light cleaning and routine check ups. Exposure to everyday chemicals like lotions, perfumes and makeup should be limited. It is best to remove your jewelry before applying. Avoid any exposure to household cleaners. And remove your jewelry when doing rough activities like housework, gardening or sports. Also, avoiding extreme temperatures is important for many colored gemstones. 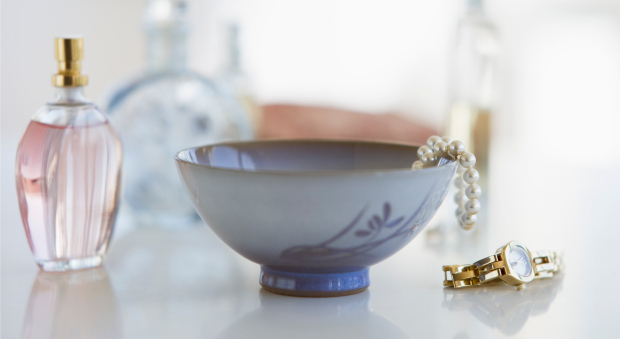 To clean your jewelry, soak in warm water and a few drops of soap for a few minutes. Then brush lightly with a very soft brush and rinse. This can be done every couple weeks for a piece that is worn every day. Do not do this for soft gems such as pearls, turquoise or amber. Every 6-12 months, bring your jewelry in to be checked and professionally cleaned. Even though our jewelry is made to last, it will require maintenance and inspection, especially if it is worn every day. If you notice anything funny such as a loose stone stone or bent edges bring it in right away so we can fix it before you lose a stone. Most importantly, get your jewels insured! We can provide an independent GIA appraisal as requested for insurance purposes. 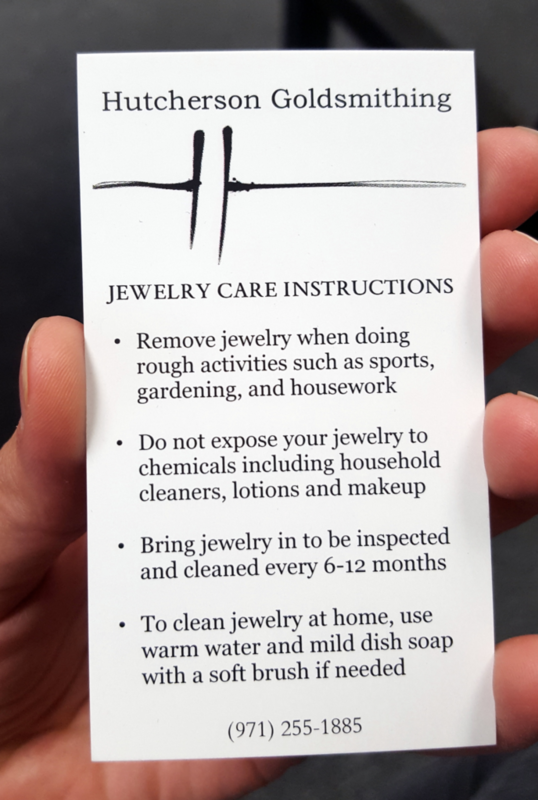 We will give you a handy card to remind you of all this when you purchase jewelry from us. That way if you are giving jewelry as a gift this info is easily transferred.